Gives your guests some liquid shelter when you give them Animal Rescue Drink Tickets at your charity event. 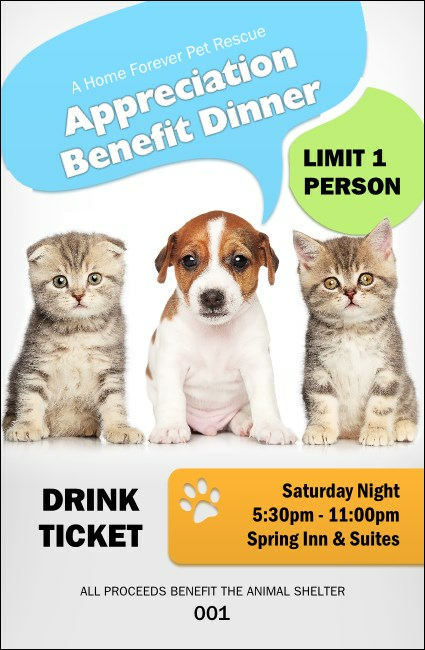 Encourage everyone to join you in a toast to animal rescue with tickets that feature two adorable kittens and a sweet puppy on a white background with sequential numbering for security. Save your event with the right ticket at TicketPrinting.com.